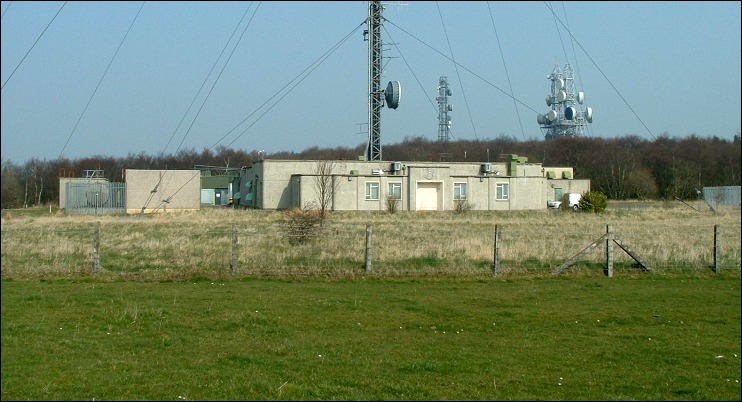 These first two images, taken July 2001, show an approach view from the south-east and a main view from from the south-west. 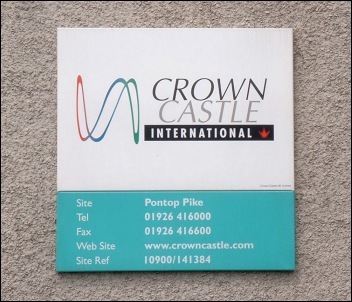 Above Left: The old Crown Castle station plate - which was positioned on the side wall of the main building. 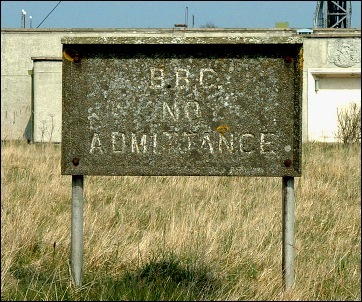 Above Right: An old BBC perimeter sign, the likes of which can also be found also at Divis, Meldrum, Peterborough and Sandale. 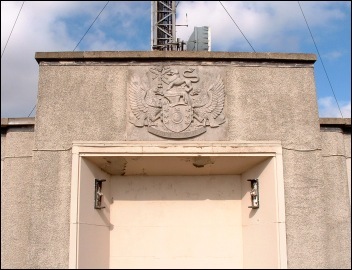 Above: The BBC Crest, which is mounted above the blocked-off main doorway and dated 1955 - the year the permanent station and mast opened. 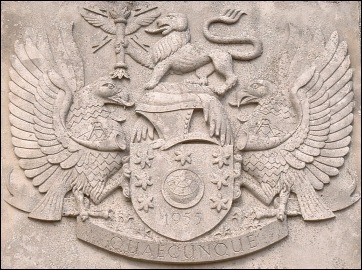 Click here or right image to enlarge. 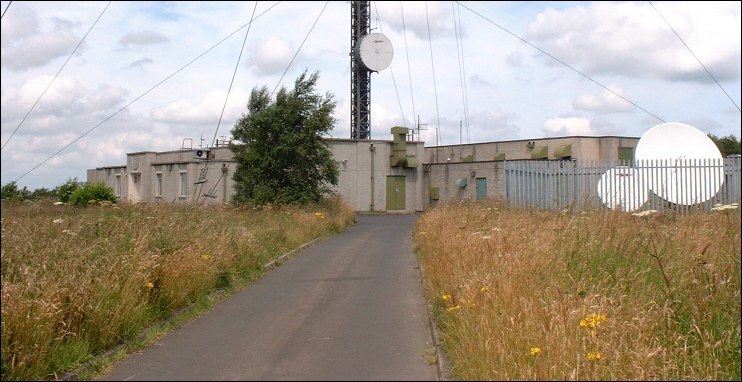 By August 2003, when the next two images were taken, the site was clearly experiencing problems with vandalism. 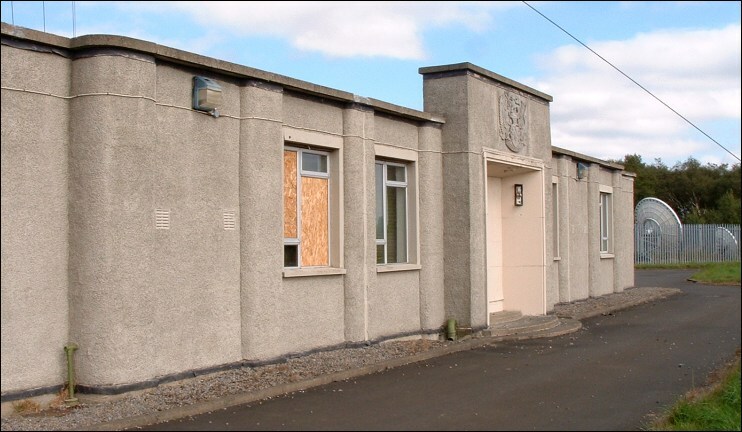 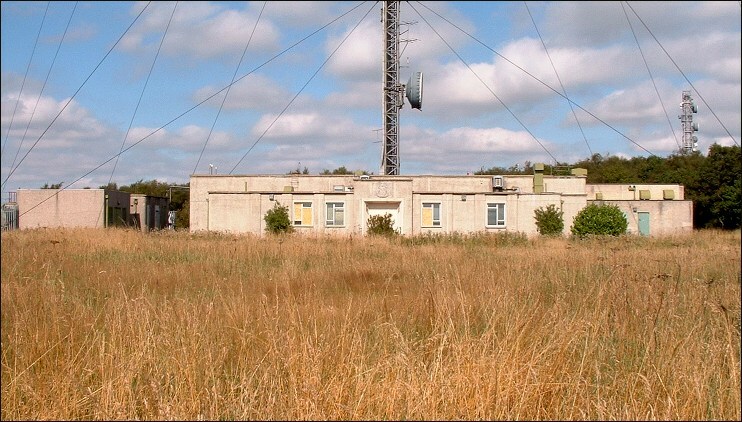 The next image, taken May 2008, shows how the vandalism and trespass-related problems had to addressed, with the fitting of shutters on the main building windows and the enclosure of the site within an additional perimeter fence. 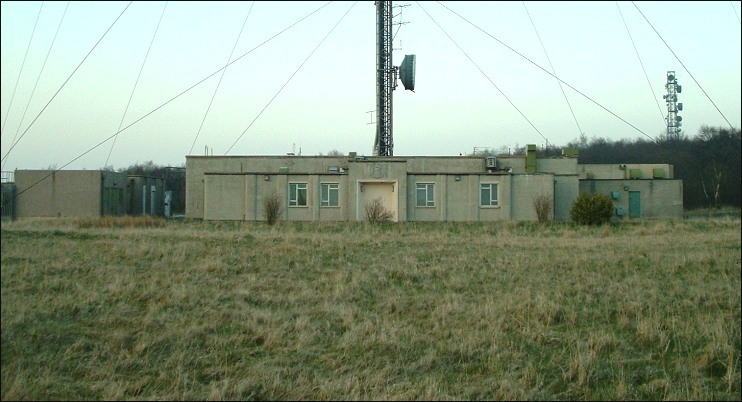 Several CCTV domes can also be seen attached to the roof of the main building, although these are now a standard security measure on most of the main transmission sites. 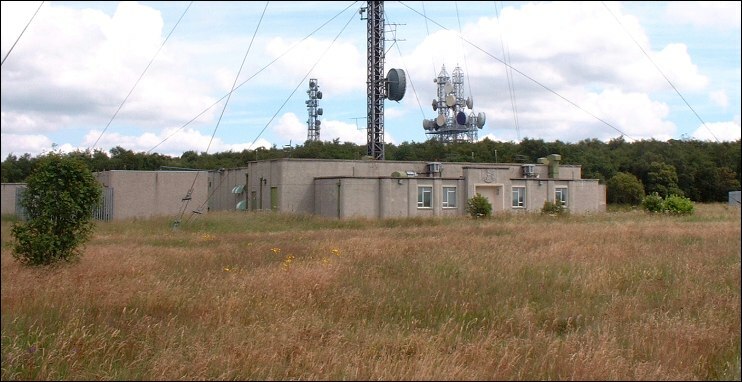 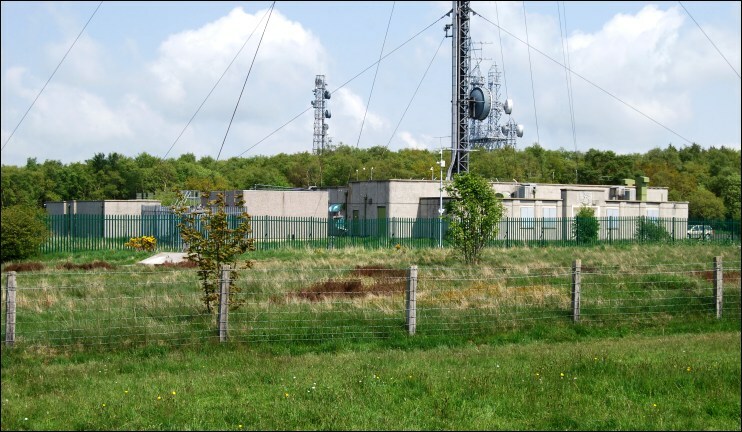 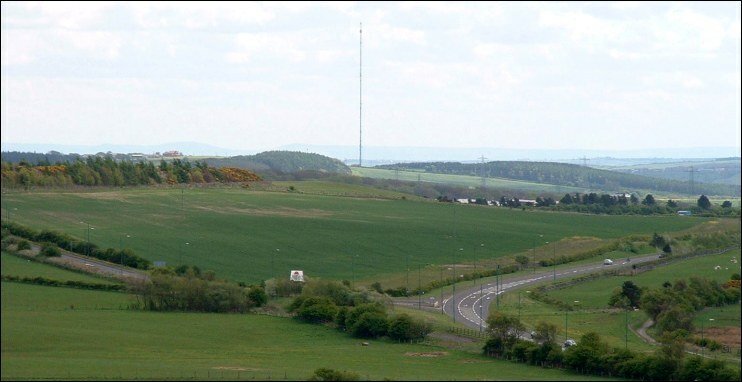 The final image below, photographed from Pontop Pike, shows the adjacent mast at Burnhope, located approximately three miles to the south-east.